Colin A. Hope, Roger S. Bagnall et Paola Davoli (eds. 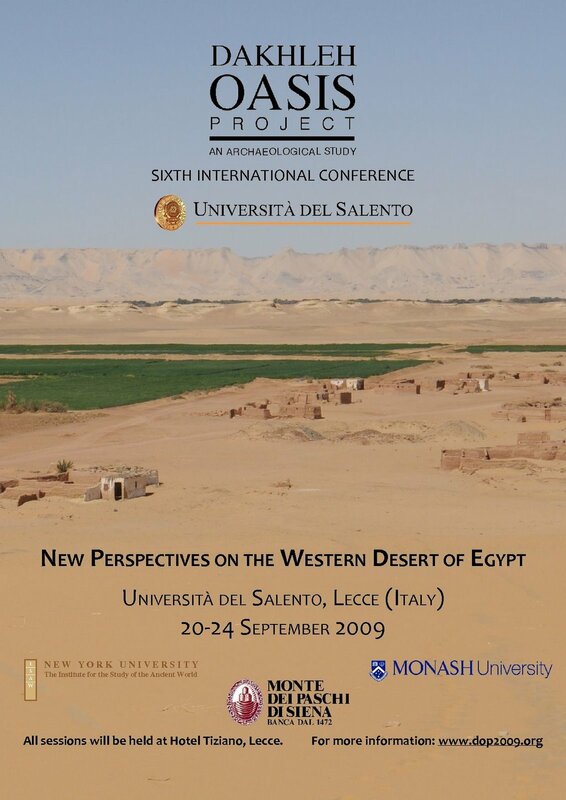 ), The Oasis Papers 6: Proceedings of the Sixth International Conference of the Dakhleh Oasis Project, Oxford, Oxbow Books, 2012.